• Even though your vehicle is equipped with the occupant classification system, never install a child restraint system in the front passenger's seat. A deploying air bag can forcefully strike a child resulting in serious injuries or death. Any child age 12 and under should ride in the rear seat. 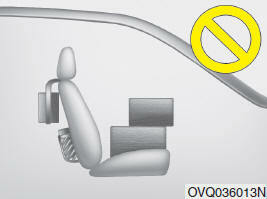 Children too large for child restraints should use the available lap/shoulder belts. No matter what type of crash, children of all ages are safer when restrained in the rear seat. 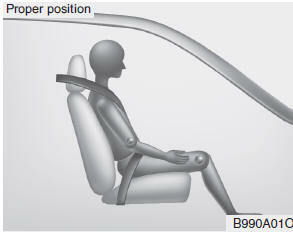 • If the PASS AIR BAG "OFF" indicator is illuminated when the front passenger's seat is occupied by an adult and he/she sits properly (sitting upright with the seatback in an upright position, centered on the seat cushion with their seat belt on, legs comfortably extended and their feet on the floor), have that person sit in the rear seat. 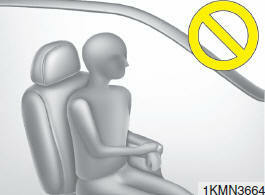 • Do not modify or replace the front passenger seat. Don't place anything on or attach anything such as a blanket or seat heater to the front passenger seat. This can adversely affect the occupant classification system. 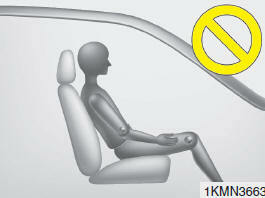 • Do not sit on sharp objects such as tools when occupying the front passenger seat. This can adversely affect the occupant classification system. 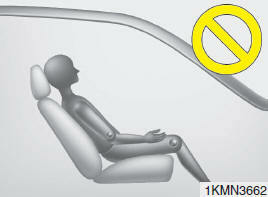 • Air bags can only be used once – have an authorized HYUNDAI dealer replace the air bag immediately after deployment. • The occupant classification system may not work properly if water, coffee or any other liquid including rain gets on the seat. Keep the front seat dry at all times. 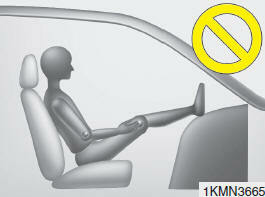 • Do not place an electronic device such as a laptop computer on the front passenger seat. Its electronic field may cause the OCS to switch to the "on" condition and thus allow the passenger air bag to deploy needlessly in a collision, increasing your repair costs. • A smaller-stature adult in the front passenger’ seat who is not seated correctly (for example: seat excessively reclined, leaning on the door or center console, or hips shifted forward in the seat) can cause a condition where the occupant classification system senses less weight than if the occupant were seated properly (sitting upright with the seatback in an upright position, centered on the seat cushion with their seat belt on, legs comfortably extended and their feet on the floor). This condition can result in an adult potentially being misclassified as a child and illumination of the PASS AIR BAG "OFF" indicator.